80% of the essential oils on the market are small glass bottles, but the glass bottles are fragile and must be wrapped in kraft paper tube packaging to minimize the possibility of damage to the essential oils. In order to increase the promotion of the essential oil brand, it is very necessary to print the logo and parameters directly in the package. But printing directly on small oil glass bottles will be very difficult and at the same time increase the cost of customization. 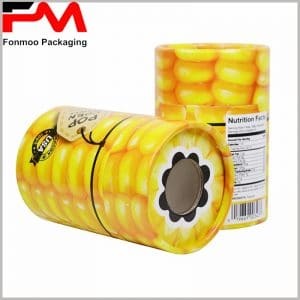 But paper tube packaging is easy to shape and can be printed into any desired style that will highlight the power of the brand and the characteristics of the product. Undoubtedly, if you use a ring EVA or sponge inside the kraft paper package, it is very helpful to fix the essential oil bottle and avoid shaking and damage the glass bottle. Whether you want to customize the 5 ml, 10ml, 15ml or 30ml essential oil packaging, you can shape the style you want, determine the style and size of the package according to the product, and clearly express your opinion to the consumer. Since we are a packaging manufacturer from China, you will get the lowest package wholesale price and save your manufacturing costs. Looking forward to your call, we will be a good partner.